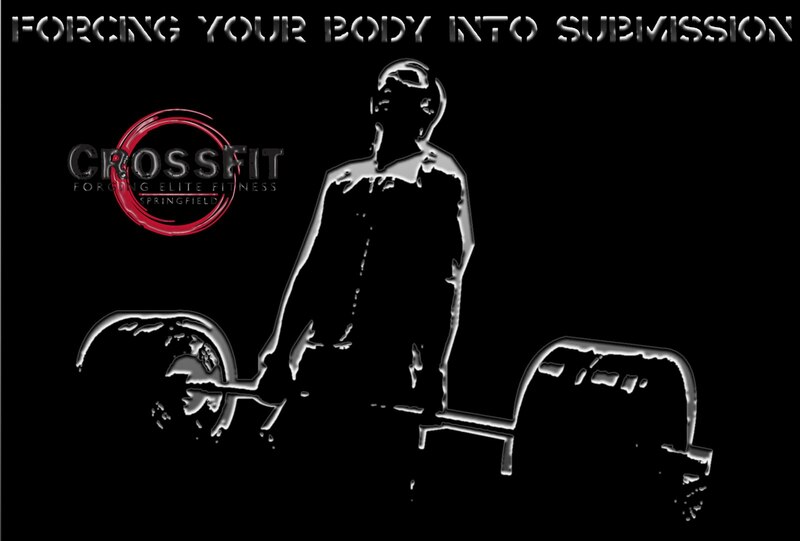 Over the weekend I wrote 8 WODs that I wanted to consider for CrossFit Springfield's upcoming Saturday Individual Competition. I was already dead-set on the first WOD for the event: a 3 rep max thruster. 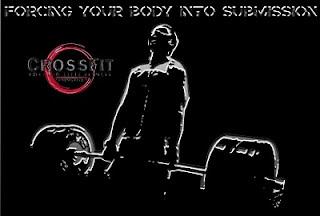 Your score is your 3RM thruster weight x 3 (185 x 3 = 555). I knew about 7 minutes into it that this was the WOD for the event. It's as mentally tough as it is physically challenging. It doesn't favor the athlete who is great at lighter met-cons, yet it doesn't favor the athlete who is simply strong enough to throw around 155lb from ground to overhead either. It's a perfect storm that you will either fight through and weather- or will lower your sails and be crushed by the waves. It will be an absolute victory for those who, RX or scaled, decide that they're gonna stay in the fight and finish in under the 25 minute time-limit. My time was 12:59. Brian got 14:53. To determine the winner we will take the thruster scores and subtract them from the met-con scores. Based on our WOD 2 scores (Jeremy = 779 seconds & Brian = 893), there would be a 114pt differential that Brian would have to overcome in the thruster WOD. That deficit could be made up. Hypothetically: If I were to get 185lb on my 3rep max thruster = 555 and Brian hit 225lb x 3 = 675 the difference would be 120. Your overall score will be the WOD 1 scores subtracted from your WOD 2 score. In my hypothetical case above, I'd have a final score of 224 (779-555). Brian would have a hypothetical score of 218 (893-675). The low score would win- so brian would beat me even though I finished 2min faster on WOD 2. THE BOTTOM LINE: These 2 events will balance out everyone. You'll have to do well at both in order to finish well! Good Luck! I had considered competing this weekend...after having put myself through WOD 2...No friggin thanks- I'd rather not try my hand at that workout again for a long, long time to come.